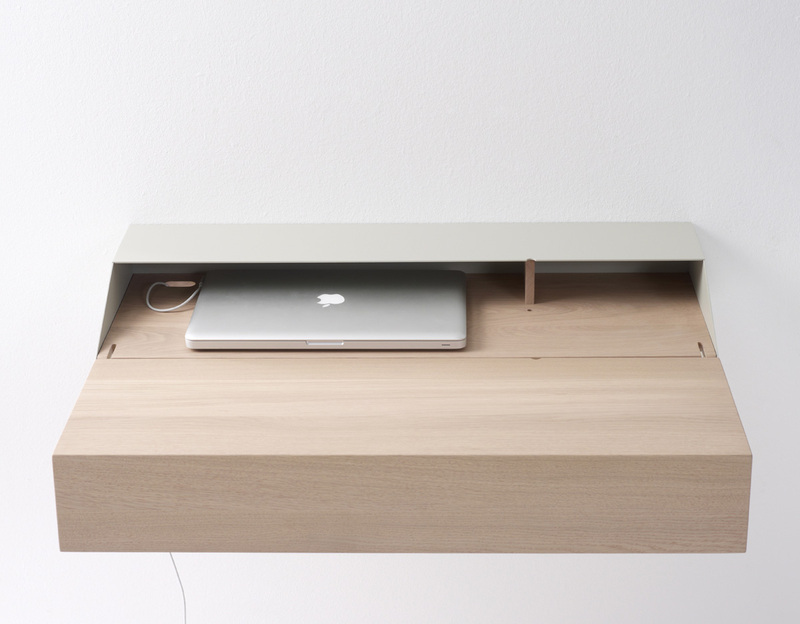 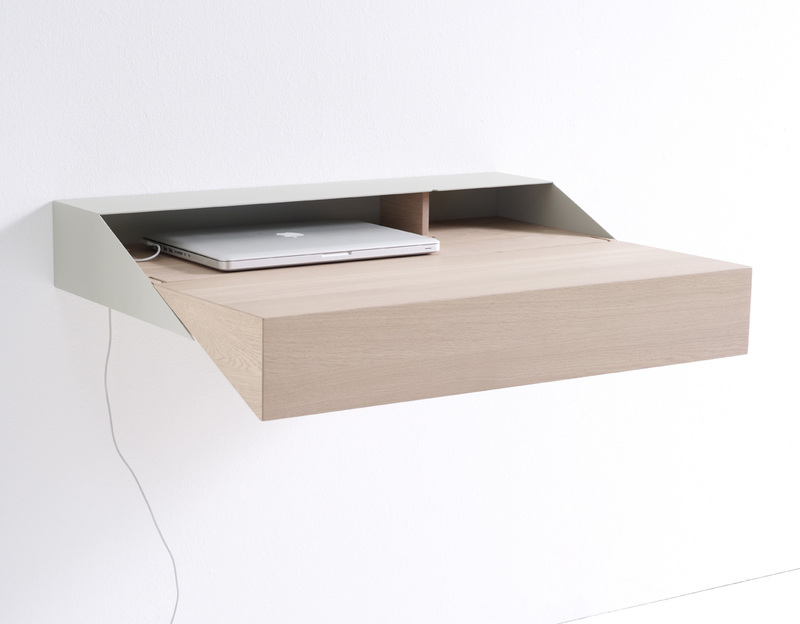 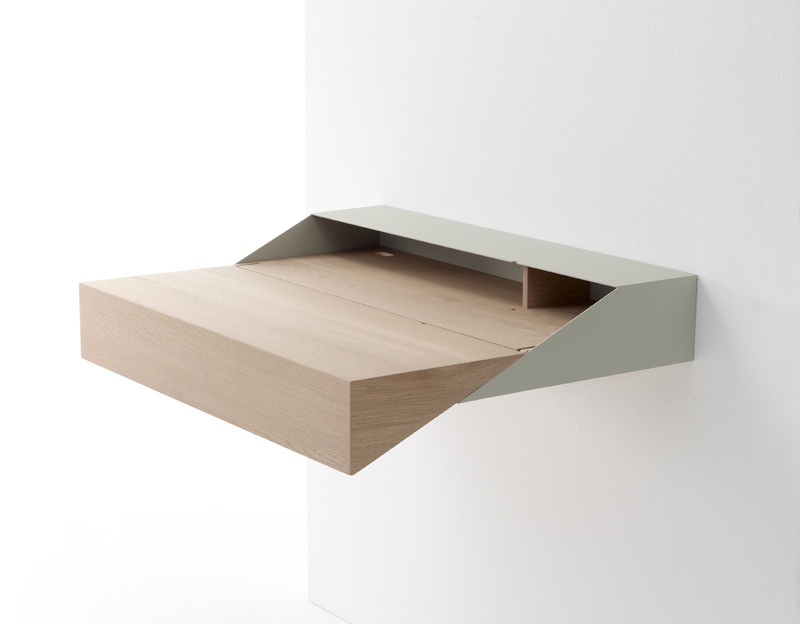 A surprising and practical hanging cabinet/table/desk. 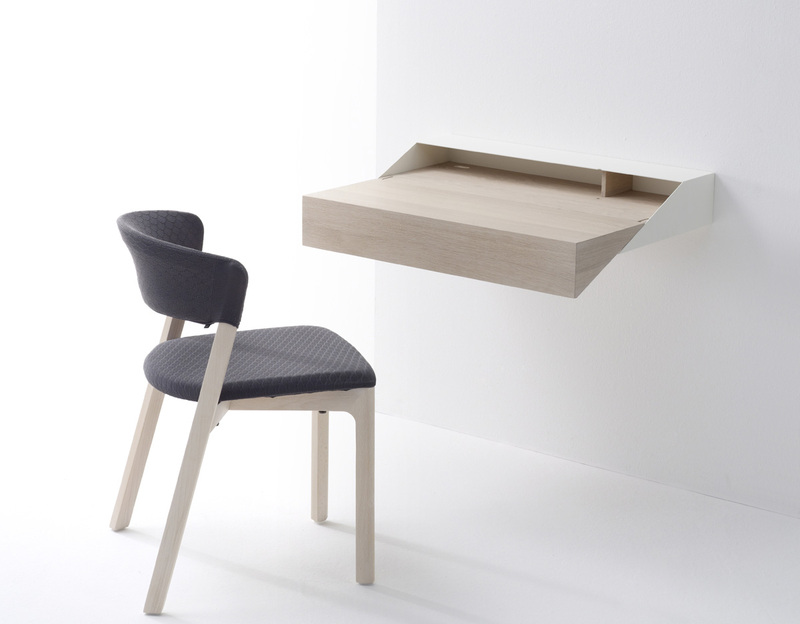 When extended it forms an elegant small work place, which can be pushed right back when you are done to form a closed box, half the size of the table top "perfect for situations with limited space". 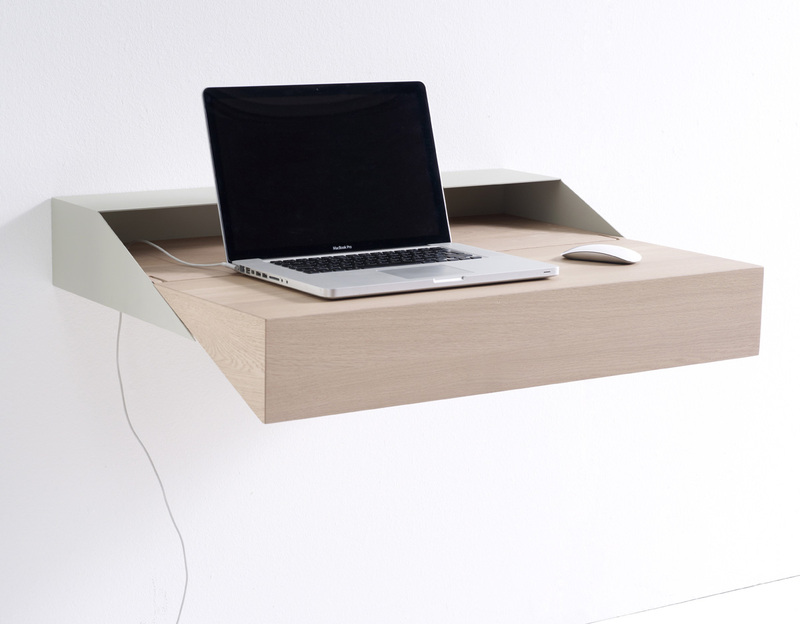 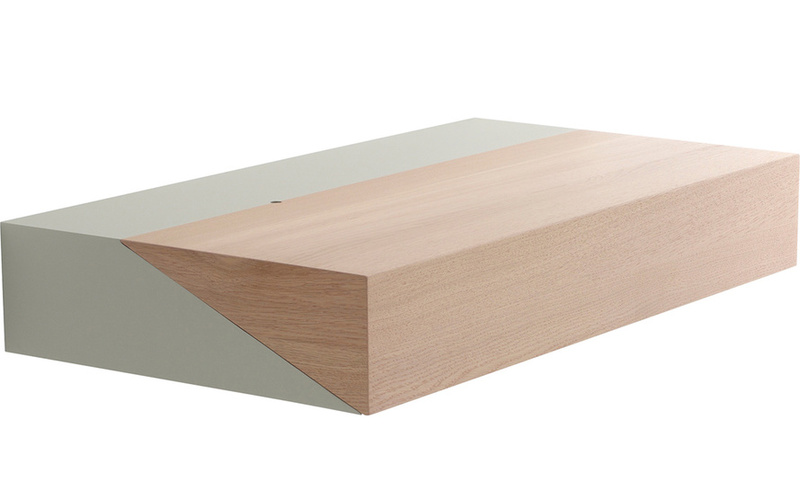 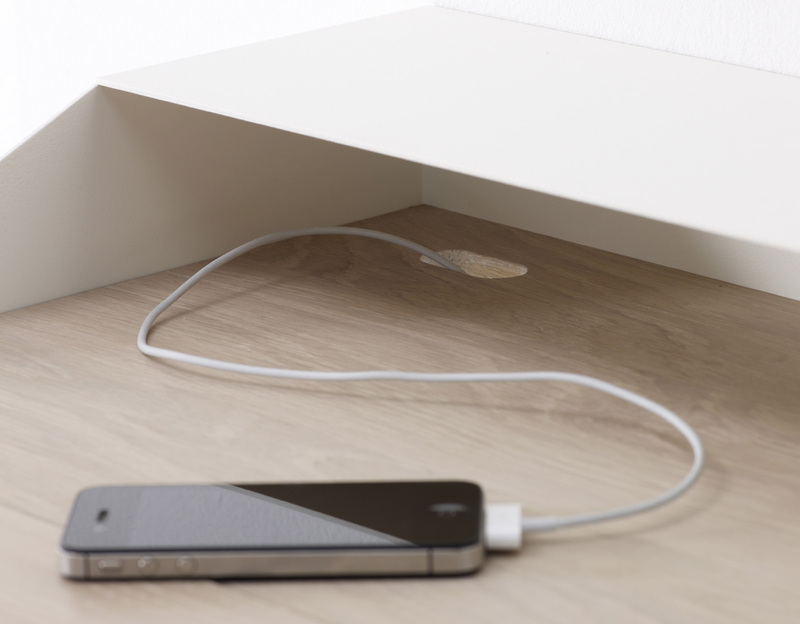 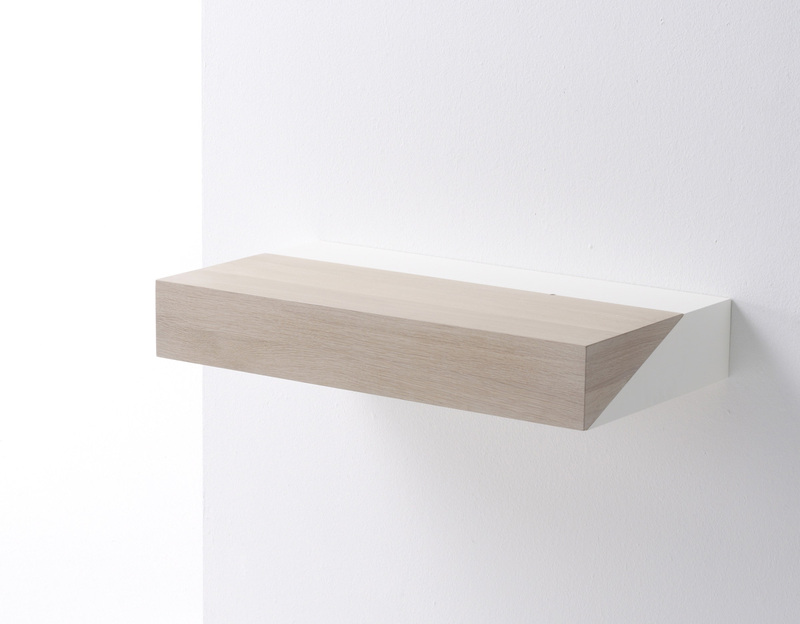 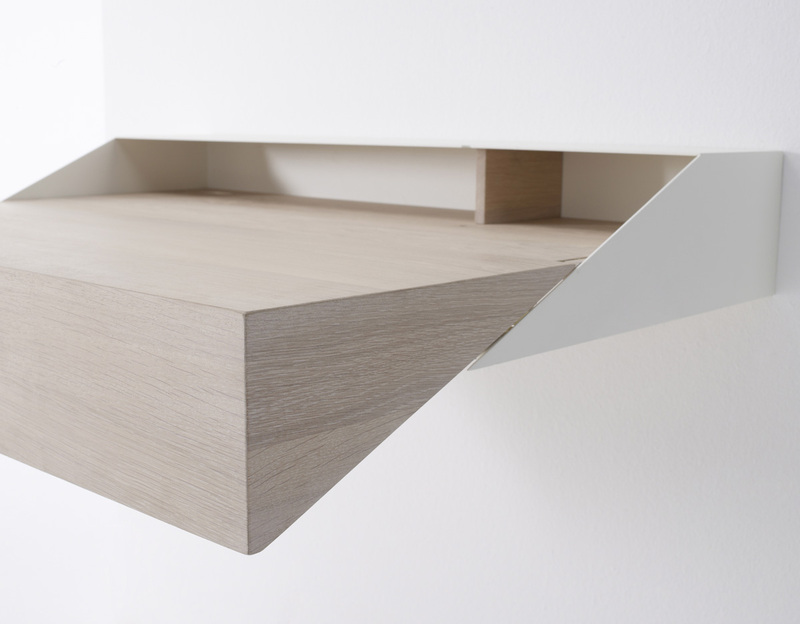 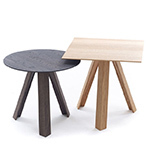 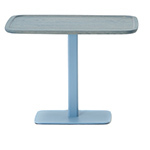 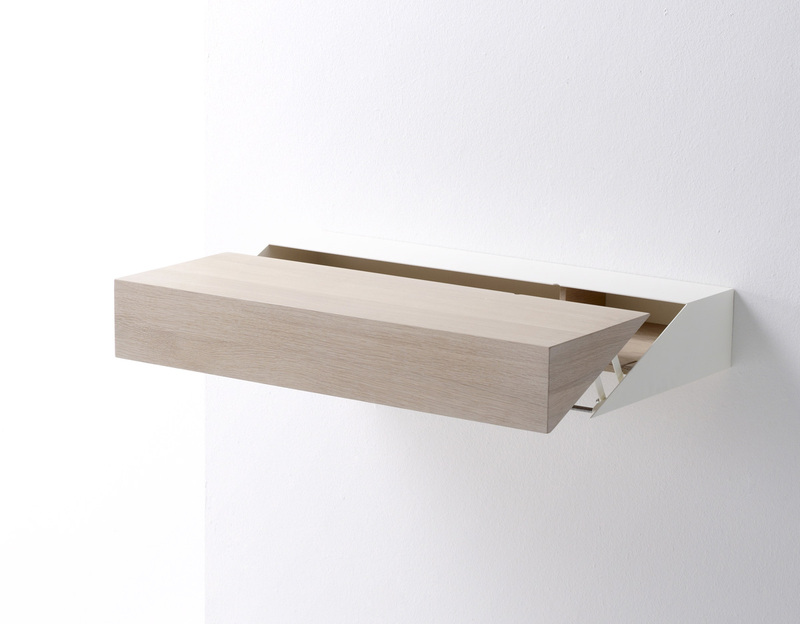 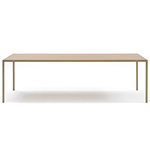 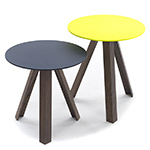 Deskbox features an epoxy lacquered (fine texture) base and solid oak top. 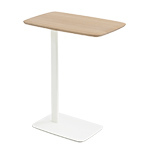 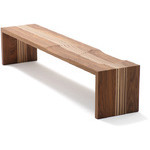 $2,079.00 + free shipping in the continental U.S.